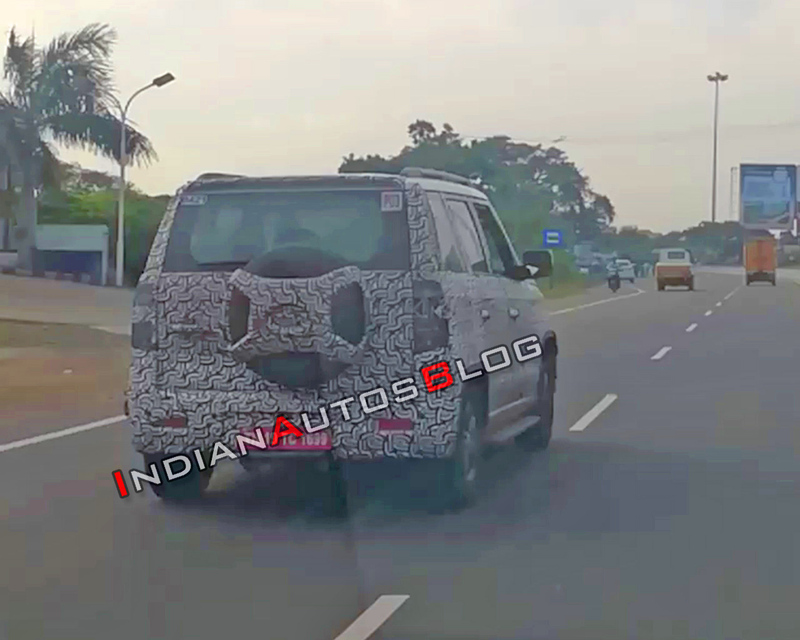 It emerged in September that the Mahindra TUV300 is to get its mid-life update in 2019. In line with this news, a heavily camouflaged test mule was caught on tape last month. This week, IAB reader Harini TR has spotted a prototype in Chennai. With the launch of the mid-cycle refresh, the Mahindra TUV300 will attain compliance with the stringent crash safety norms up ahead. While camouflaging restricts us from observing the finer details, it becomes quite clear that the updated model receives a new spare wheel cover. Other changes could include new design alloy wheels and a different lighting setup. The interior will gain a touchscreen infotainment unit with Android Auto. The new X-shaped spare wheel cover comes from the Endurance edition that was put on display at the Auto Expo 2016. Styling revisions aside, the 2019 Mahindra TUV300 will reportedly gain a more robust body structure in adherence with the stricter crash safety norms that come into effect on 1 April 2019. The updated model will likely feature an upgraded motor to comply with the BSVI emission norms that come into force on 1 April 2020. Presently, the Mahindra TUV300 draws power from a 1.5-litre mHawk100 four-cylinder turbo-diesel engine outputs a maximum power of 100 bhp along with a peak torque of 240 Nm. Transmission options include a 5-speed manual transmission and a 5-speed AMT. Dual front airbags and ABS with EBD are a part of the standard equipment list across all the trims. The updated model will additionally offer front seatbelt reminder (SBR), reverse parking sensors, speed alert warning system, speed-sensing automatic door lock and impact-sensing door unlock to attain compliance with the new safety regulations. 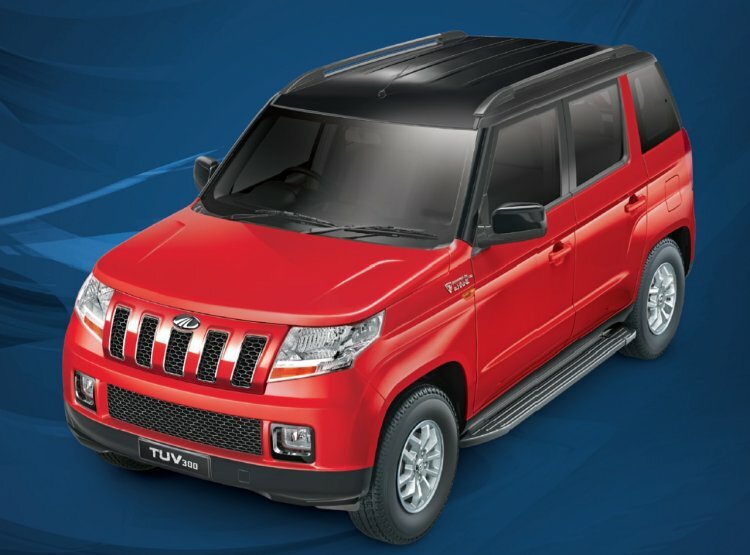 The Mahindra TUV300 is currently on sale in a price bracket of INR 8.33 - 10.97 lakh (ex-showroom, New Delhi). With an average monthly sale of 1,951 units*, the TUV300 is nowhere as popular as the segment-leader Maruti Vitara Brezza (14,009 units). That said, the updates introduced with the 2019 Mahindra TUV300 (facelift) should energise the popularity of the sub-4-metre offering.